Starting and ending at the Church of the Parish of Santa Barbara, this starts by a dirt path, climbing up the Canada of Atoleiros, reaching two windmills in ruins, Arrebentão Place. Continuing a shortcut you arrive at the “Pit Quarry”, a quarry that was removed the stone to build the typical marianenses homes. Following the path, the view falls on the typical homes in Santa Barbara and its typical chimneys, with characteristic colors and with rural architecture. Later on, we arrive at a viewpoint that has a view over the Bay of St. Lawrence. Continuing on the path, we reach the Church of Our Lady of Lourdes, the only church in the Azores with the doors facing north. Going down, it goes through several pastures towards the Valley of Lakes, through the Ribeira Amaro, with a cascade of 50 meters high. 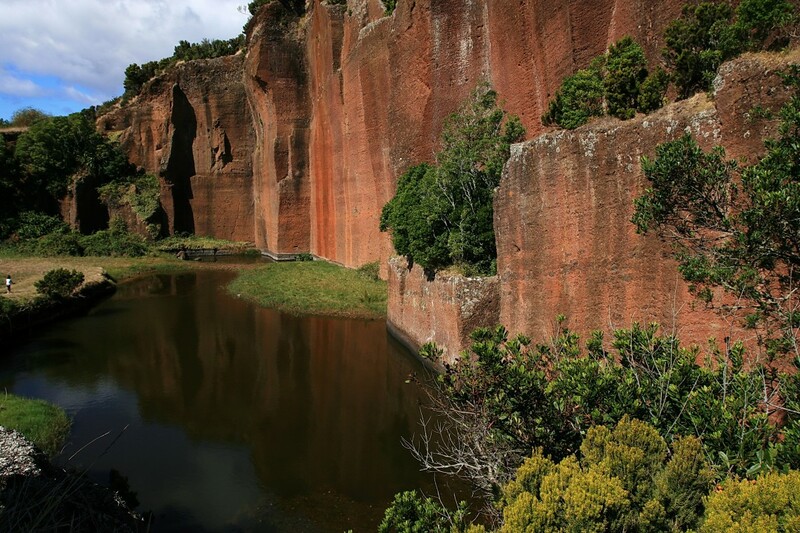 Crossing the Place of the lakes, you arrive at the place of the Mula Covão, they observe many species of plants and birds, also observed the hole in which the inhabitants of Santa Barbara withdrew the clay for domestic use. A route that begins in the Interpretation Center building Dalberto Pombo, which houses a vast collection of this naturalist. Down the main road of Port Vila, towards the Forte de São Brás, one built in the seventeenth century, which is currently a viewpoint that allows a view of the Pebble Bay Clothing and commercial port of the island. Continuing along the Ribeira de São Francisco, a place that arise birds like aa Heron (Ardea cinerea) Egret small (Egretta garzetta), Coot (Fulica atra) and the Curlew (Numenius arquata) during the fall it’s winter. Proceeding to the Pedreira do Campo, one can see the islet of Vila, a Reservation of great importance Natural for nesting seabirds, such as the soul-black (Bulweria bulwerii) and is even classified as Monument Regional Natural, which also includes the presence of marine fossils. Following up to Touril, where the Grotto and Figueiral the Lime Kiln are made known. Continuing to the coast, in a way carrying limestones, is a covered landscape of natural flora as Beech-the-earth (Morella faya) or Cabaceira (malvifolia Pericallis) and introduced species as incense (Pittosporum undulatum), Aloe (Agave americana), Cato (Opuntia ficus-indica) and myrtle (Myrtus communis), which is accompanied by species such as the goshawk (Buteo buteo rothschildi), the pigeon-the-rocks (Columba livia), the Estrelinha (Regulus Regulus sanctae mariae), the Speaker, ruddock (Erithacus rubecula) and rabbits-brave (Oryctolagus cuniculus). Getting to the slopes of Prainha, must choose between going down or continue down a path along the tree Pohutukawa (Metrosideros excelsa) toward the viewpoint of Macela. Down to Prainha, it is to enjoy its white sand and its clear waters, then continue at Prainha strong, you can also climb to the viewpoint of Macela and then follow the coast. These paths end in Praia Formosa. Starting in the place of Low Feteiras, along the regional road, and ending the Angels, this goes down a road path, which goes by a canada on strike and curb land, up to the hill top to contemplate the immense mass Atlantic water. Continuing toward the Fox Bay, this section was widely used as access to Bay fishing and water mills, when the miller turned the cereal today are in ruin. 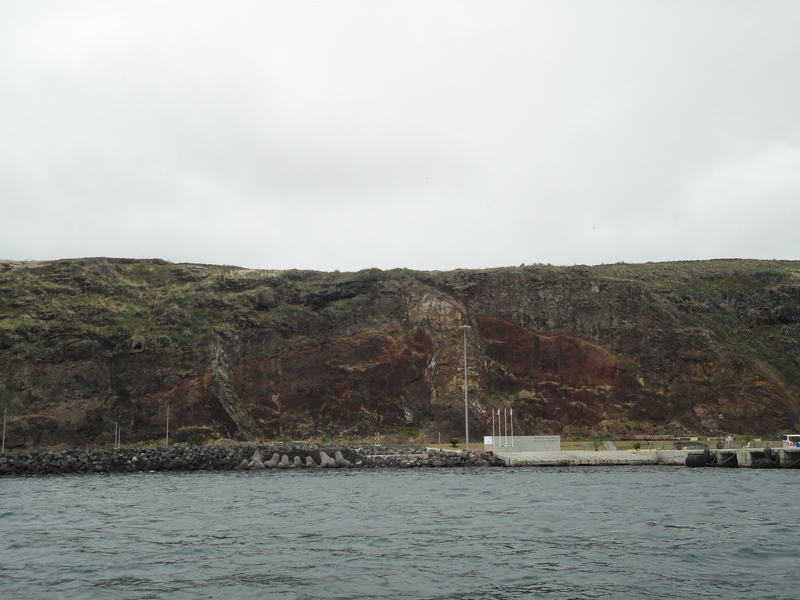 The Fox Bay is ranked Geosítio, with the presence of lava flows with columnar disjunction at the top of the slope of the Engenho Ribeira and marine, land and mudslides conglomerates, which have all geological richness of Santa Maria. Going up the slope, there are some endemic species of flora as Pau-white (Picconia azorica), Beech-the-earth (Morella faya) and Cabaceira (malvifolia Pericallis), and introduced species as incense (Pittosporum undulatum), Cana ( Arundo donax), Aloe (Agave americana), you can also watch and listen to some birds like the hawk (Buteo buteo rothschildi), Blackbird (Turdus merula), chaffinch (Fringilla coelebs moreletti) Estrelinha (Santa Maria Goldcrest) canary Earth (Serinus canaria) and Canister / ruddock (Erithacus rubecula). Proceeding by a dense forest area, towards the Barreiro’s pout is taken, this being one arid land area and clayey, drained deployed in Lavia, amended as the High Peak Complex. 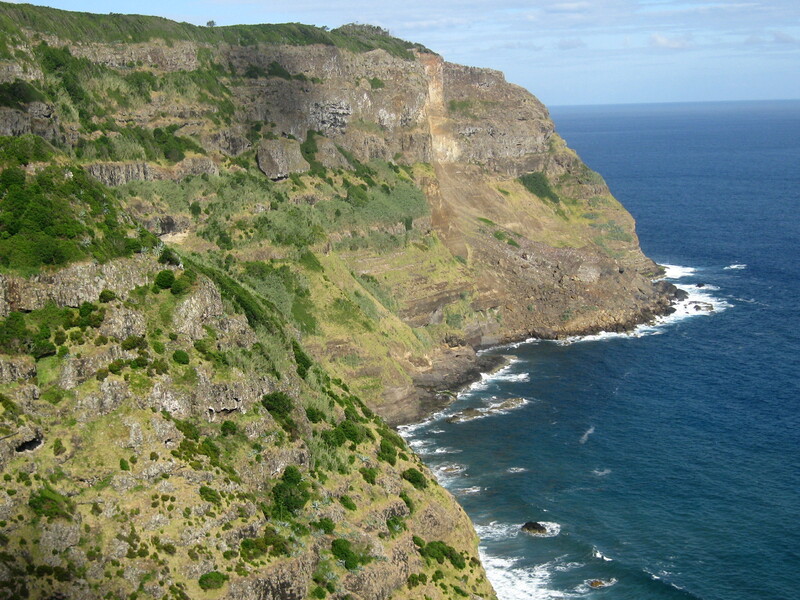 Continuing to Cré Bay, a site also considered Geosítio due to its high cliffs and steep. 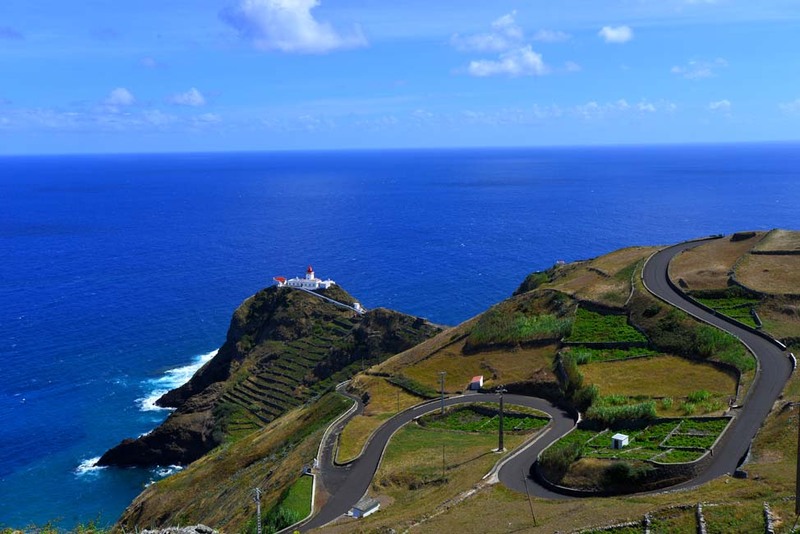 Following, finally, to the Angels, to visit a small chapel, which will be the first Christian church in the Azores, along with the statue of Christopher Columbus browser. Starting with the Church of the Holy Spirit, in the Parish of the Holy Spirit, and through the place of Maia, this trail ends at the Whaling Factory in Castle Point. Pursuing the village, towards a traditional windmill, atalhando then for a forest incense, reaching the path called Path of Lapa. Heading towards the coastal zone, is set by an ancient stone canada, and then arrive at the edge of the Ribeira do Aveiro, where the path goes by your bank until you reach the cliff. Then down to the place of the Maya, where you can observe a variety of aichryson villosum, a plant native to the Azores and Madeira. Further down, it goes through some vines, until even the Maya, where you can make a detour to admire the waterfall of Aveiro Ribeira. Continuing towards the Castle Headland, goes along the Mayan until you find the lighthouse, which is accompanied by a covered way to the sea of ​​the local flora such as a view of the coast of Malbusca. Reaching the end of the road, the ruins of an ancient whale factory are, joins the quiet beach area. 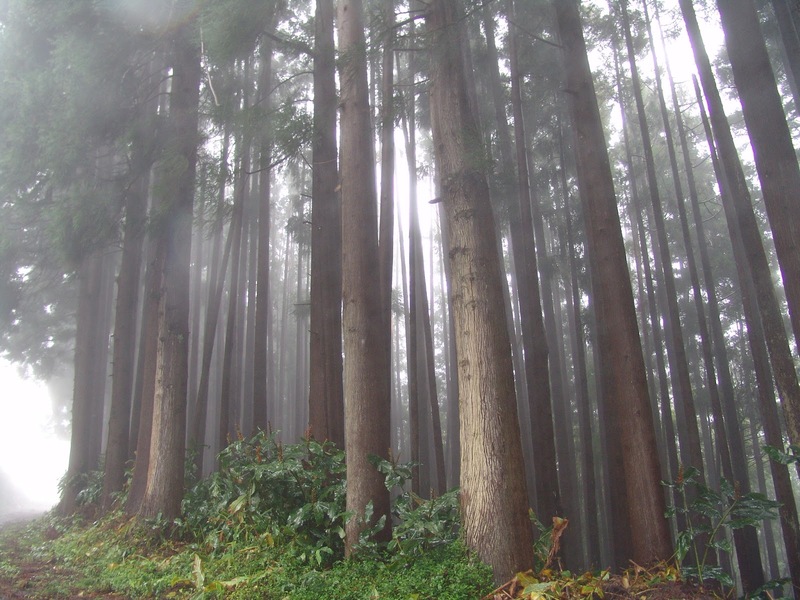 The trail crosses an area classified as a Site of Community Interest and other area classified as Nature Reserve. Starting in the Forest of High Peak road, through Barreiro of Pout and the Bay of Cré, this ends the Angels. Starting toward the High Peak, the highest of Santa Maria, with a view that allows the view of the whole island and to San Miguel, in the days of good visibility. Atalhando toward cedar wood toward Chã do João Tomé., One can observe some plants of laurel forest, such as stick-white, heather, bilberry the saw, tamujo, blonde, among others. Reaching an abandoned Forest home, the road is dirt track until you reach the main road to get to Barreiro’s pout or “Red Desert of the Azores”, bypassing it and going through a populated area, it follows towards the Bay of Chalk. A section where the undergrowth, with unions, beeches, incense and myrtles dominate the landscape, being among the Lemos Ribeira and the Bay of Chalk. Away just for a porthole of the old whale, where one can see the Anjos, the Ponta da Baleia, the Bay Chalk and the islet of Lagoinhas. Returning to the main rail, down by the Lemos Ribeira bed, rising by old canadas to a tarmac road. Continuing the Angels, you can make a small detour to the Furna de Santana. This trail crosses two reserve areas, the Protected Landscape of Regional Interest of the North Coast and the Natural Reserve of the Bay of Anjos.